By age two, most pets have already reached adulthood. At age four, many are entering middle age. By age seven, many dogs, particularly larger breeds, are entering their senior years.Because pets age so rapidly, major health changes can occur in a short amount of time. Importantly, most conditions are best treated when detected early and appropriate intervention occurs. Today’s pets are living longer than ever, and are suffering from many of the same chronic health problems that we are. The risk of cancer, diabetes, obesity, arthritis, heart disease and other serious conditions all increase with age. 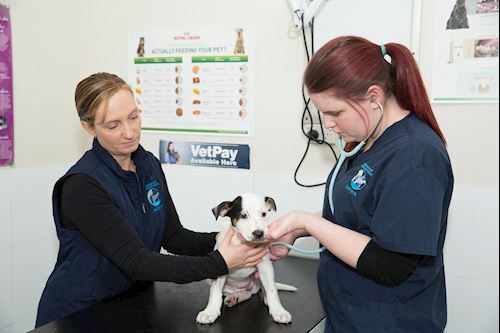 Preventative health is key to this, and at Kangaroo Flat Veterinary Clinic, this is something that our staff are very passionate about.